In my last post I shared the beauty of Ettal Abbey. Today we will visit the village of Ettal which has a population of just about 800 people. 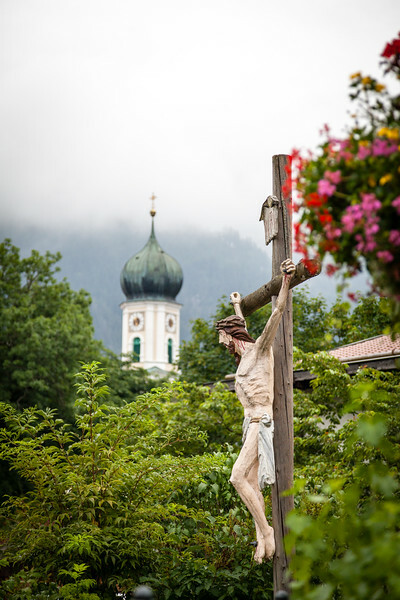 What really puts Ettal on the map is the Passion Play. 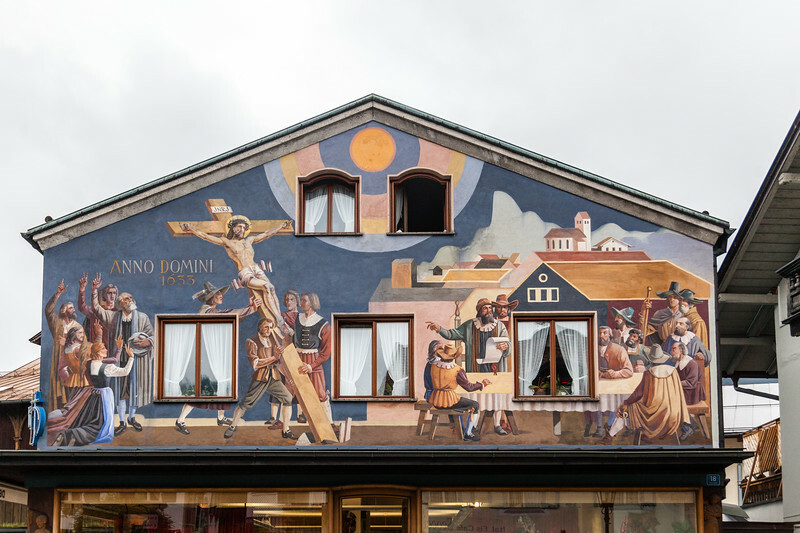 A Sample of the Lüftlmalarei painted on houses. during the time of the 30 years war. they would perform a play about the life of Christ. Today, the play is still performed by the local villagers. Now that is what I call keeping a promise! that will occur next in 2020. 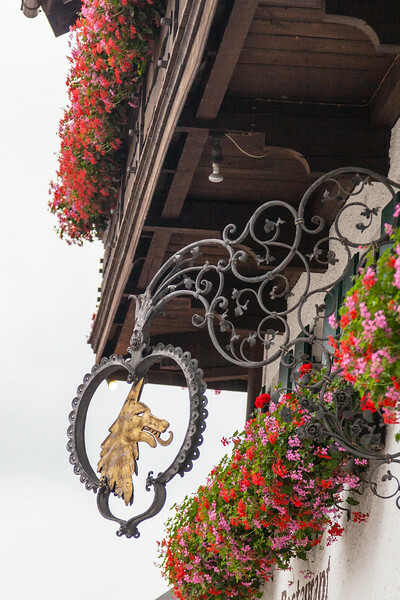 But Ettal has beautiful Lüftlmalarei* adorning the houses. 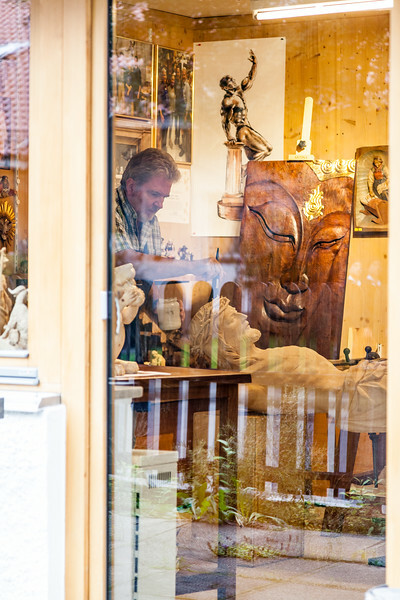 And the area has a strong tradition of woodworking and handcrafts. If you are in the area, it is worth a visit. It is a good place for souvenirs as well. we noted they value handwork. I don't recall seeing anything made in China. What a welcome change from the USA. A woodworker working on Christ. I still haven't shared my favorite location! The paintings on the houses are stunning, but I really want a sausage vending machine at work - no more boring lunches. 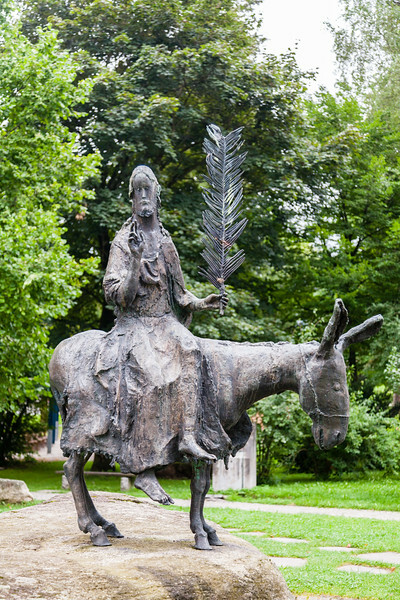 I would love to see the passion play, we saw one here a few years ago and it was touching. 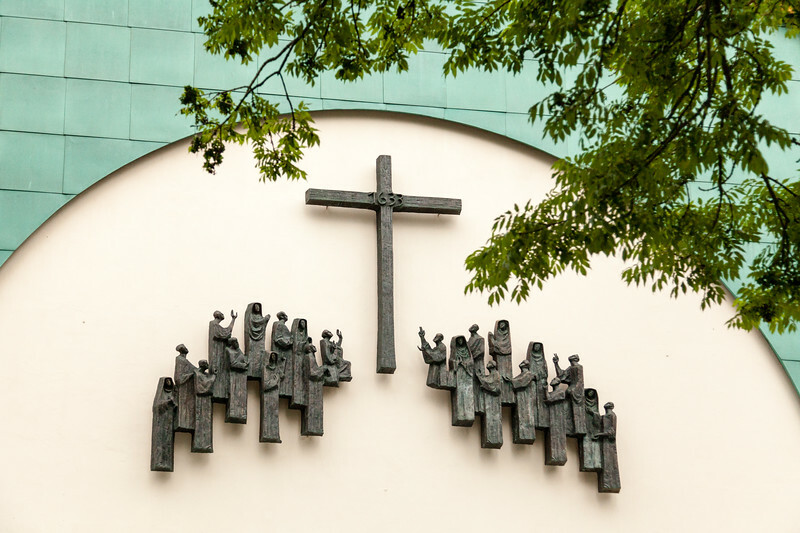 I like the cross with all the carved people, so beautiful. 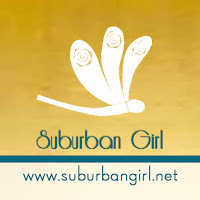 Don't you adore the flower boxes everywhere? I've been to Germany more than once but I don't remember any sausage vending machines!! That's funny! My German heritage shines forth in handwork. My dad has always been a wood worker, my tool is my camera. Looking forward to your most liked location, but these photos from Ettal are idylic. I have always wanted to attend a Passion Play. 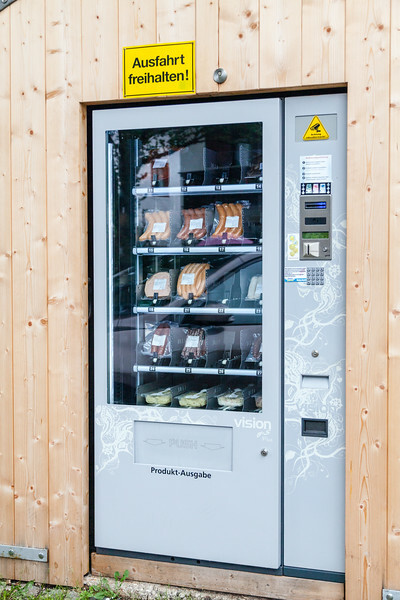 I'm lovin that sausage vending machine.